These lounger/sleepers are a perfect for any young man to watch sports with his Dad. 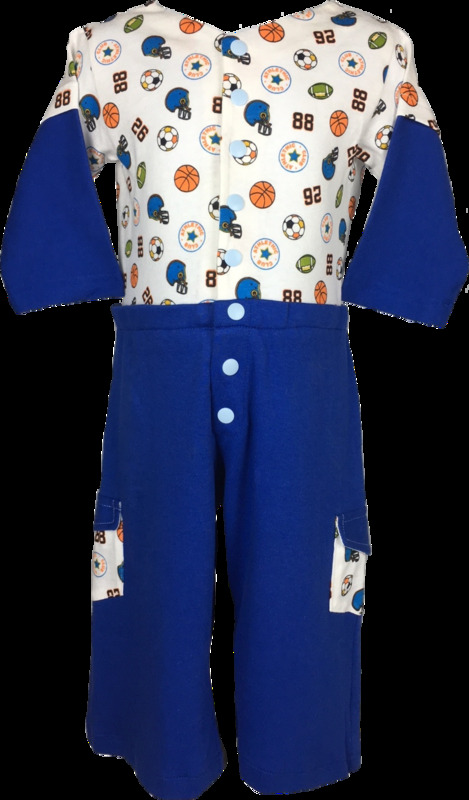 Our sleepers are one piece snap up front outfit for easy of putting on for Daddy to get his sport buddy ready for the game or bed. made with knit stretchable fabric. The top has all kinds of sports represented on the fabric.